1. 6-in-1 (deodorise scalp, relief itchiness, reduce dandruff, prevent hair fall, smoothen hair). 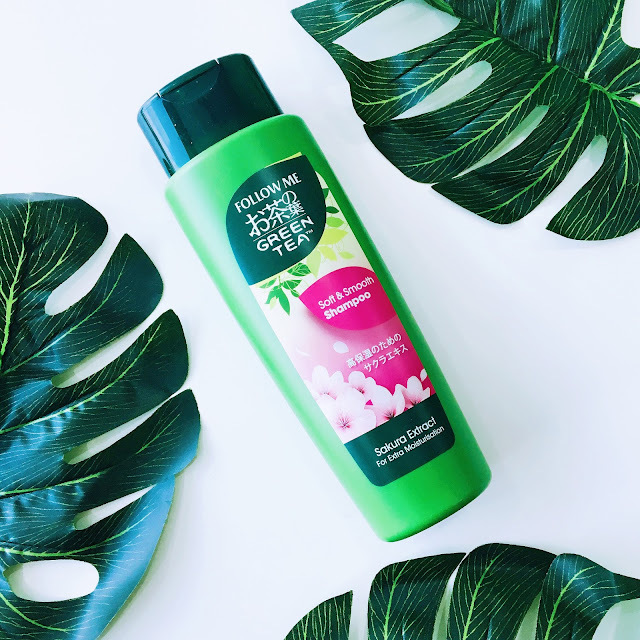 This newly reformulated is said to help strengthen hair starting from the roots while leaving it feeling healthier and more manageable. Hey, that means less crazy hair day! Rich in Vitamin C, it provides protection for the hair follicles while making sure that it stays all smooth and silky. 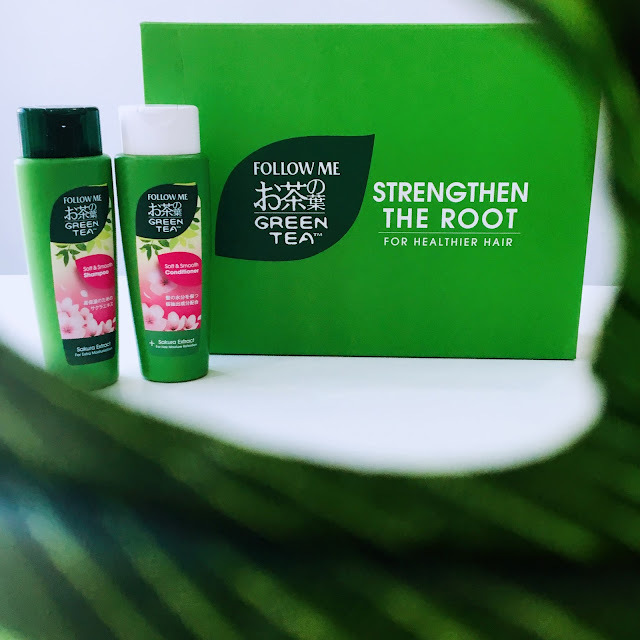 Green tea extract also contains a natural compound called Polyphenol which helps to keep the scalp healthy. 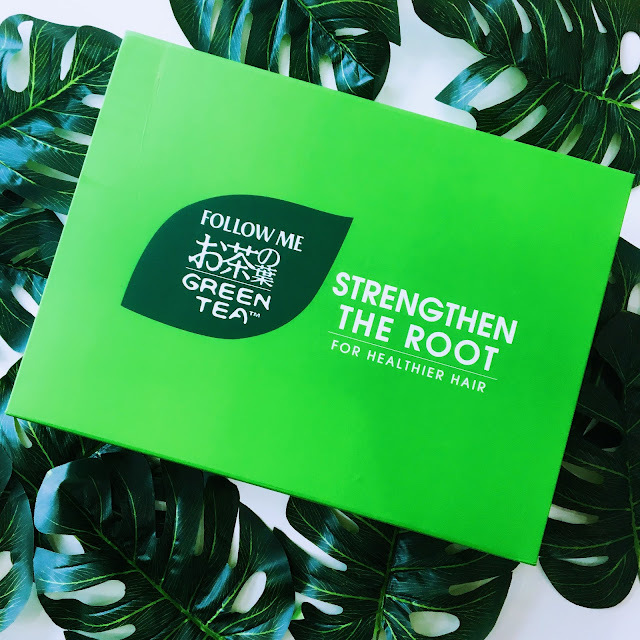 The extract also help keeps the free radicals at bay & further the strengthening of hair roots, promotes hair growth and prevent hair thinning. 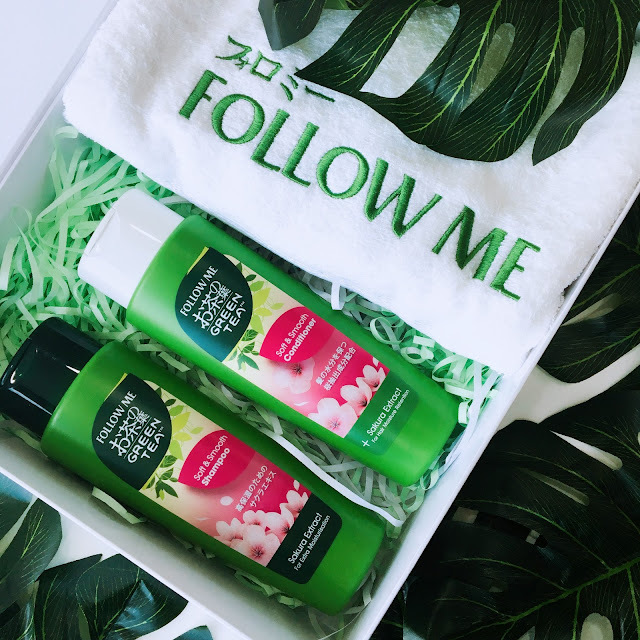 As you can read above, every variant is also infused with additional natural plant extract to help treat different scalp and hair conditions. I can't emphasize enough, this shampoo smells great! Even without pouring it out, I am able to smell the soft floral fragrance from outside. 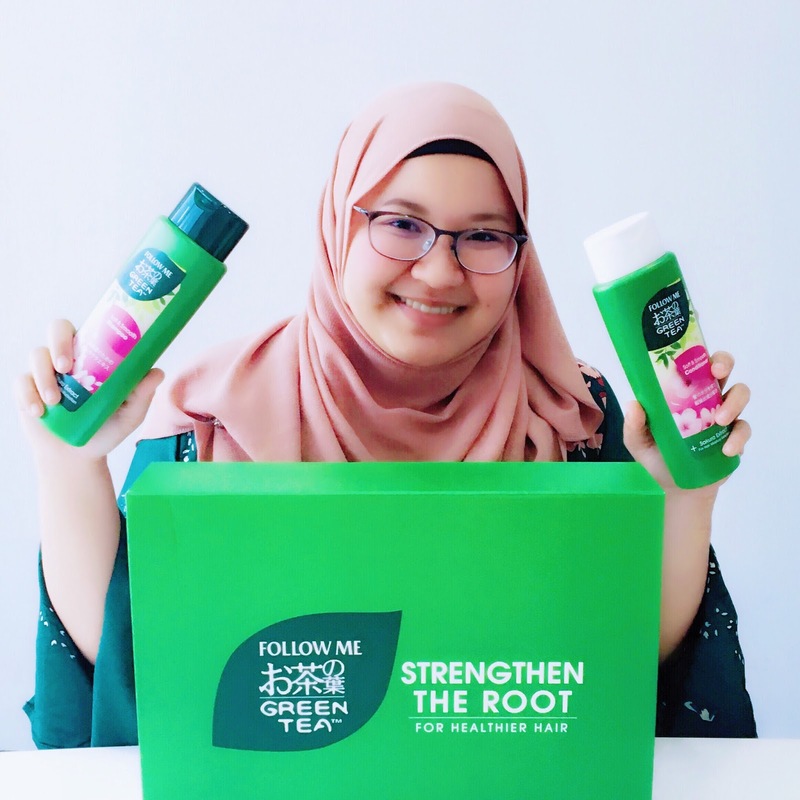 The liquid comes in light green colour and has a consistency similar to a majority of the shampoos I've tried before which is moderately thick. The shampoo lathers up pretty well and the amount I mostly use every time is about the size of the old 50 cent coins. 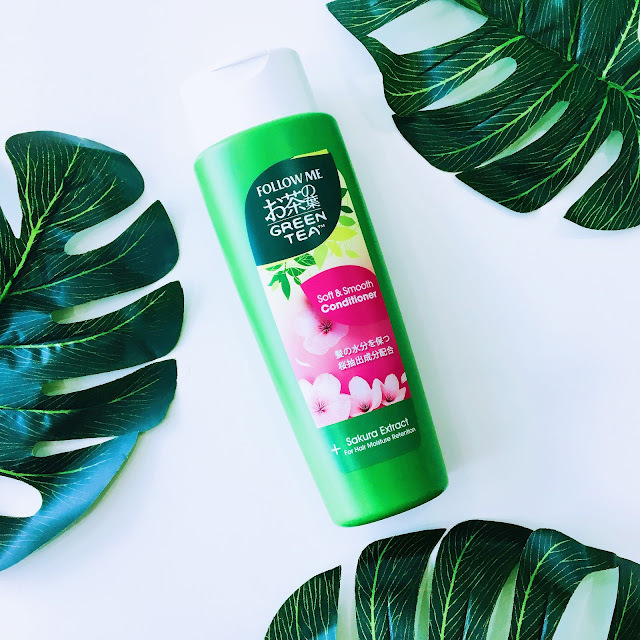 The shampoo also rinses out pretty quickly and right after shampooing, I can immediately feel the soft and smooth effect. My hair feels pretty light too! I have a confession; I am not a really big fan of conditioner. Of course, not all of them but I really hate those kinds that feel super heavy and thick and is really hard to rinse off after application. From my past experiences, I am better off not using conditioner afterwards because my scalp always started to have dandruff whenever I do. Thankfully, I have not encountered this experience with the Follow Me Green Tea Conditioner. It's fairly easy to rinse off, and my hair feels so soft afterwards too. Plus, a little of it goes a long way. I'm pretty sure I will ran off the shampoo first before the conditioner.